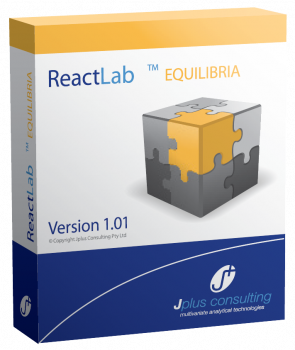 The new ReactLab family of software products currently comprises two applications, ReactLab KINETICS for the analysis and modelling of kinetic data and ReactLab EQUILIBRIA for the modelling and analysis of equilibrium titration data. These Windows applications allow the fitting of arbitrary reaction mechanisms to spectrophotometric data yielding all reaction rate constants and equilibrium constants as well as concentration profiles and spectra of intermediate species. 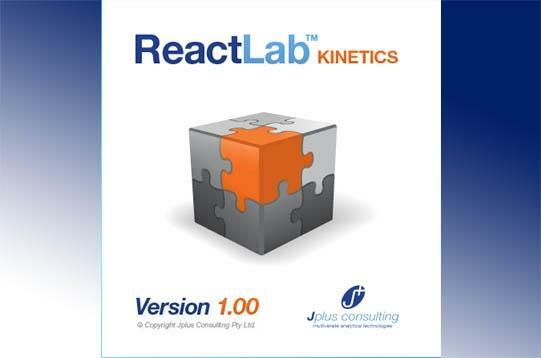 TgK Scientific Limited have formed a collaborative partnership with Jplus Consulting an analytical software development company based in Perth, Western Australia. 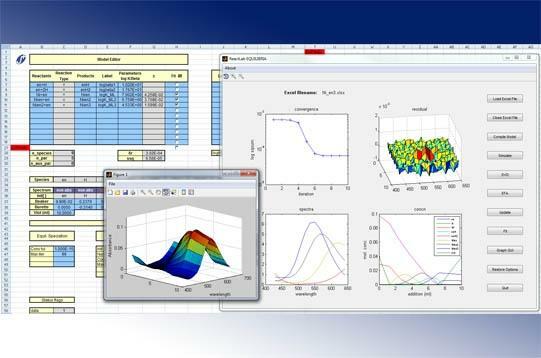 Jplus Consulting specialise in innovation of advanced multivariate data analysis software tools for use in spectroscopic chemical process investigations. Global analysis of multivariate spectrophotometric data to determine underlying reaction mechanisms together with all reaction parameters and intermediate spectra. Compatible measurements include UV-Vis, IR, Raman, NMR, ESR and CD. 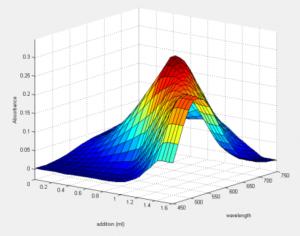 A compiled Matlab analysis kernel and graphical GUI which is extremely robust and easily maintained. A versatile Excel based data and modelling interface providing a familiar application environment and enabling the use of Excel tools and graphics to explore experimental data and analysis results. Reaction modelling and simulation of theoretical reaction schemes for testing model resolvability and general educational experimentation. A unique reaction scheme interpreter allowing simple entry of symbolic reaction mechanisms with support for symbols or full species names with stoichiometry coefficients. Proprietary reaction modelling algorithms enabling the fitting of both rate constants and rapid equilibrium constants in the same model. Support for both automated titration and manually prepared equilibrium sample measurements. Modelling of buffer reactions or pH variations can be included. A unique auxiliary parameter feature allowing the inclusion and optimisation of unusual parameters or parameter relationships to the fit. Singular Value decomposition and Evolving Factor Analysis for preliminary model free analysis of the data. A symbolic model editor allows direct input of chemical reaction schemes of virtually unlimited complexity. 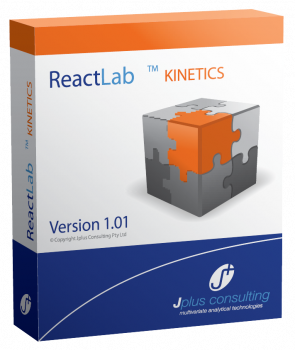 Kinetic Studio provides an easy export facility to automatically insert data into the ReactLab templates. For more information, please see the Jplus Consultingweb site or contact us. A free trial is available on the Jplus Consulting web site. To help get started, the supplied manual includes a number of worked examples. Introductory and example videos available here. For further assistance please contact either Jplus Consulting or TgK Scientific.